Cape Town - Luvo Manyonga and Rushwal Samaai have qualified for the men's long jump final on the opening night of the IAAF World Championship in London. The South African long jumping duo surpassed the qualification mark of 8.05m with ease. 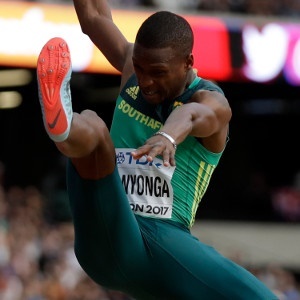 Manyonga, who won silver at the Rio Olympics, qualified for the final on his first attempt with a leap of 8.12m. Meanwhile, Samaai took a leap of 8.14m and sets up as a definite medal prospect along with Manyonga for South Africa. In the first major surprise of the world championships, Olympic champion Jeff Henderson failed to reach Saturday's final in the long jump. The final of the men's long jump takes place on Saturday at 21:05 SA time.